Late last week Bambuser users receive a newsletter informing them of the new streaming restrictions that the company would be implementing. As a part of our pledge to support freedom of speech around the globe, we continue to grant selected citizen journalists a complimentary upgrade to our Premium services. To apply, please send an email to support@bambuser.com , describing your use case and why you'd like to be considered for an upgrade." The ability to stream via a stand alone application like Wirecast, Vidblaster, and Flash Media Encoder will be only available for Premium Users. Premium Packages start at around 99 dollars per month. Founded in Sweden in 2007, we’re now a team of 13 ninjas at our offices in Stockholm (HQ) and Turku, Finland. Our mission is to provide people and organisations with the most enjoyable and effective experience to interact and share moments with the world through real-time video. The Bambuser service is offered for free to charity organisations as well as end-users that are using the service for personal use. 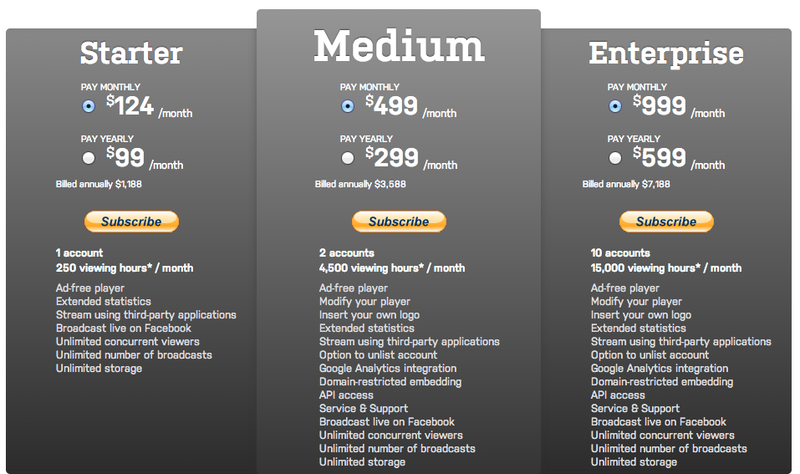 For any other use case, Bambuser offers a variety of Premium services.